"Once, a scholar betrayed his fellows at Byrgenwerth, and brought forbidden blood back with him to Cainhurst Castle. It was there that the first of the inhuman Vilebloods was born. 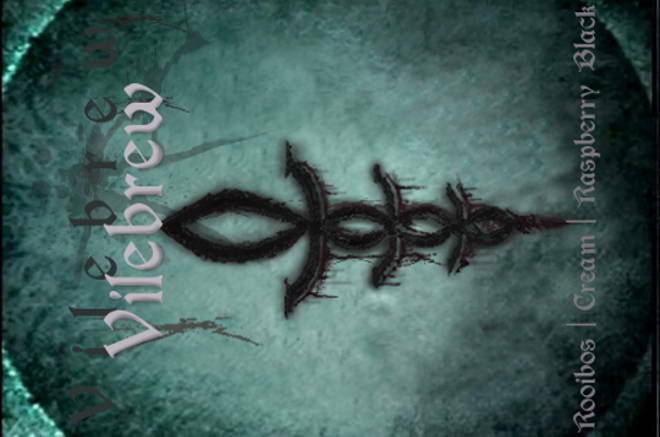 The Vilebloods are fiendish creatures who threaten the purity of the Church&apos;s blood healing. The Ruler of the Vilebloods is still alive today." Pledge your oath to Queen Annalise through brewing a blood dreg of your own with Vilebrew! Don&apos;t let the name fool you -- this tea is soft and sweet, tasting almost like melted candy if you add just a hint of sugar to it. I am a ride or die Cainhurst Vilebloods member so naturally this tea was carefully crafted to be my favorite. I wanted the taste to be elegantly smooth and refined, yet be deliciously tantalizing, reminiscent of the allure of sweet blood dregs from the game. Thus this tea (which smells like Fruity Pebbles by the way) was born! Love Vilebrew? This is just one of 4 teas in this fandom. Check out the whole series.